Includes 8 courses for $499/year. Kraft recovery boilers are an important part of the industrial processes used to efficiently convert wood chips into paper. 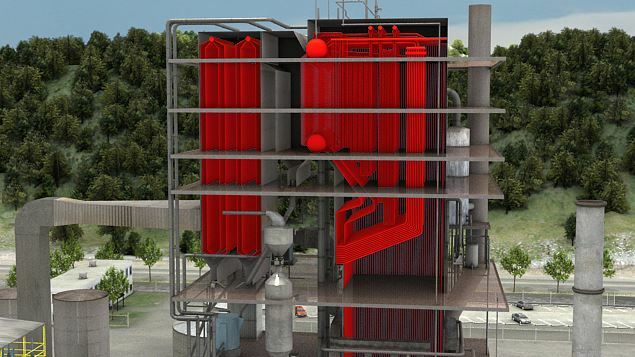 The kraft recovery boiler produces steam that is used to generate electricity and for heating purposes in the kraft processes; as well as recovers the valuable cooking chemicals used in the digester. 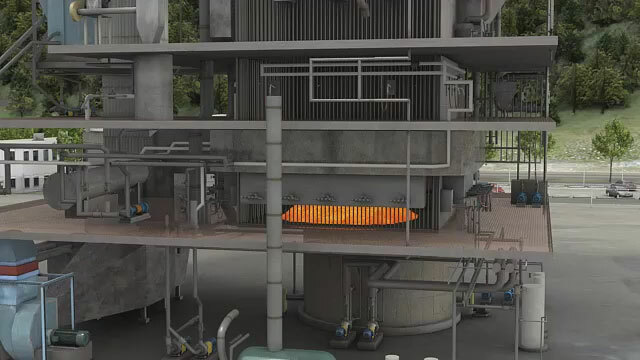 The kraft recovery boiler is made up of two main sections, the fireside, or furnace, where the black liquor is burned and the heat transfer section where steam is created. 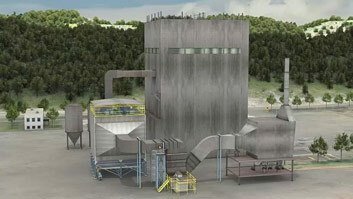 This module describes the purpose and operation of a kraft recovery boiler in the kraft pulping process. 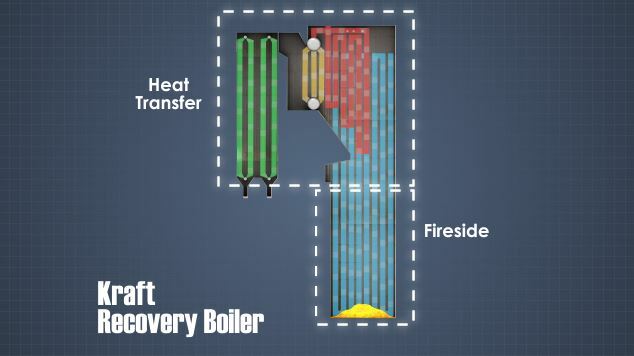 What is the primary fuel for a kraft recovery boiler? Black liquor is the primary fuel for a kraft recovery boiler. What happens to the organic material in the black liquor? The organic material in black liquor burns in the boiler and creates heat. What happens to the inorganic material in the black liquor? The inorganic material in black liquor falls to the bottom of the boiler to create a bed of smelt. 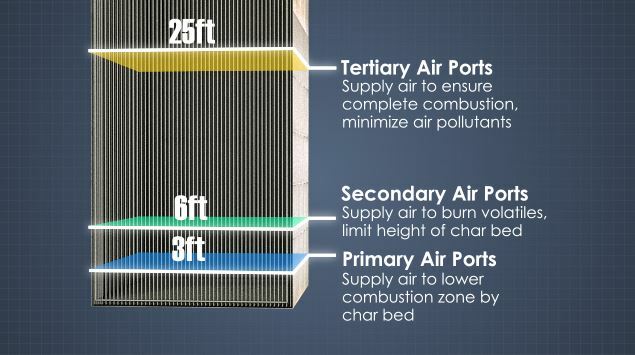 What are the names of the three main sections of heat recovery tubes in the boiler? 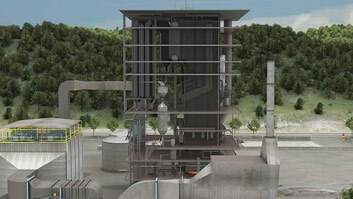 The three main heat recovery sections in the boiler are the superheater, the generating bank and the economizer. 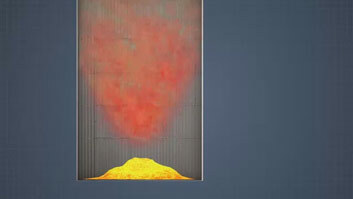 What can happen if water mixes with smelt in the bottom of the boiler? If water and smelt mix in the bottom of the boiler there will be a violent explosion. The kraft recovery boiler has many tubes located in the combustion gas stream that collect the heat of combustion and convert the energy into steam by heating boiler feedwater inside the tubes. In the heat transfer section, there are three main sections of tubes: the superheater, the generator or boiler bank, and the economizer. 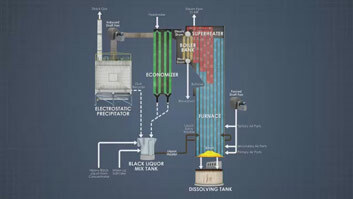 Feedwater enters through the economizer and then flows to the steam drum. The steam drum is a large cylindrical vessel situated horizontally across the boiler that acts as a reservoir of feedwater for the boiler bank. The waterwall tubes are part of the feedwater circulation fed from the mud drum and steam drum system. 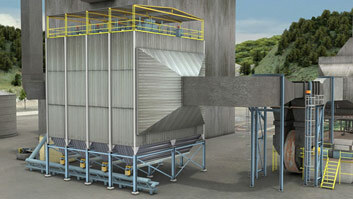 The steam drum is connected to the mud drum by multiple boiler tubes. The mud drum also provides the blowdown point, where feedwater impurities are continuously drained to the sewer through a small pipe.